The new Megaupload dubbed Mega is finally here and Kim Dotcom plans on beefing up privacy in this release by adding in file encryption, where only users will know what they’re uploading. Back in January of this year, the internet witnessed the take-down of one of the most popular file sharing websites. The main reason behind the action covered allegations of copyright infringement, which has been a major issue for years on end now. Well, there were apparently other federal crimes being committed such as racketeering and money laundering. This incident seemed to have sparked havoc amongst other services offering similar capabilities as Megaupload did. Many companies decided that it was time to halt all operations, while others only provided account holders access to their files. That’s all in the past now and Dotcom has plans to reincarnate the fallen Megaupload in a new attire altogether. A recent post on his Twitter account announced that the file sharing website was online and services are expected to be launched soon. 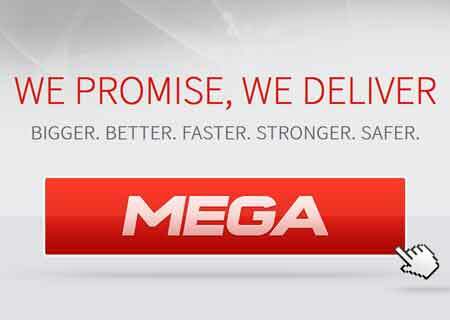 Mega will take a different approach this time. One of the most prominent implementations is that the website will automatically encrypt and decrypt data while it is being uploaded. It will also offer the Mega Manager tool which will be integrated into the service instead of being a standalone client. Back in the day, Megaupload was said to have over a billion visitors, 50 million each day. And the number of users registered with the site exceeded the 150 million mark. Based on statistics, the service accounted for around 4 percent of the total internet traffic. Currently, there’s no definitive date as to when Mega services will go online, but potential users can head on to the me.ga website and register for an update.